Jacob Lief is the Founder and CEO of Ubuntu Pathways (formerly Ubuntu Education Fund), a nonprofit organization that takes vulnerable children in Port Elizabeth, South Africa from cradle to career. The organization was recognized as an honoree for the 2018 Lipman Family Prize, a social impact initiative from the Wharton School of Business at the University of Pennsylvania. Bigger. Faster. Cheaper. A good way to sell fidget spinners, perhaps, but should the same mantra apply to raising children? Try to count the value of every single thing that got you where you are today—the support of your family, doctor’s visits, the encouragement of teachers—and you will find that it’s nearly impossible to measure. It’s time to re-humanize philanthropy. There is no shortcut for raising a child to become a healthy and happy adult. No innovation or life hack is more effective than that old, proven recipe: stay with a child every day of her life and give her the best you can. Provide her with healthcare, a stable and supportive home, and a quality education. Help her achieve her highest potential and overcome every obstacle. Access to great education and healthcare should be a child’s right, not a privilege. Changing a life, like parenting, is a full-time job without room for quick-fix solutions. Yet we seem to be stuck in the echo chamber of a harmful untruth—that privileged children should have everything at their disposal to navigate life while those who are not so fortunate can grow up to be functioning adults with much less and thrive on cups of soup, malaria nets, and windup computers. I believe this disconnect, which I have encountered in every aspect of my work after nearly two decades, is one of the biggest challenges to meaningfully improving lives around the world. 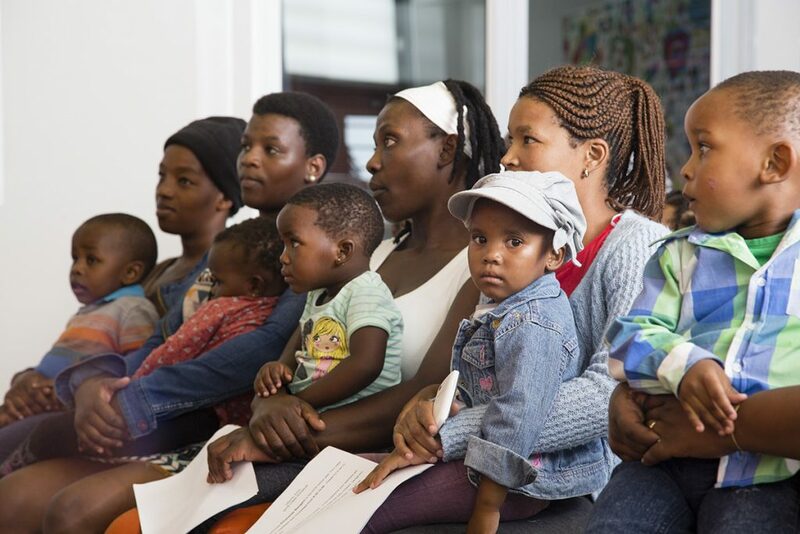 It is the reason that spending $7 million on a much-needed education and health center in a South African township generates backlash from the same people who send their own children to $40,000-per-year private schools. Don’t get me wrong—the idea of sending our children to elite schools is not what frustrates me. I spoil my own kids rotten. Going to the ends of the earth for our children is a parental instinct that cuts across all social groups. But what baffles me is that in the philanthropic sector and as a society, we have accepted an inferior standard of care for children who live far below the poverty line. The idea that poor children require the same investments as our own kids to lead healthy, prosperous lives remains radical to this day. The idea that poor children require the same investments as our own kids to lead healthy, prosperous lives remains radical to this day. We have to be honest about what it truly takes to help children succeed. It’s not anything we don’t already do in our own lives. We plan around big milestones, develop five-year plans, and start college savings accounts at birth, all so our children can have fulfilling lives. Offering a similar safety net to a child growing up in the townships of South Africa shouldn’t be any different. Take the example of a young woman named Siya. 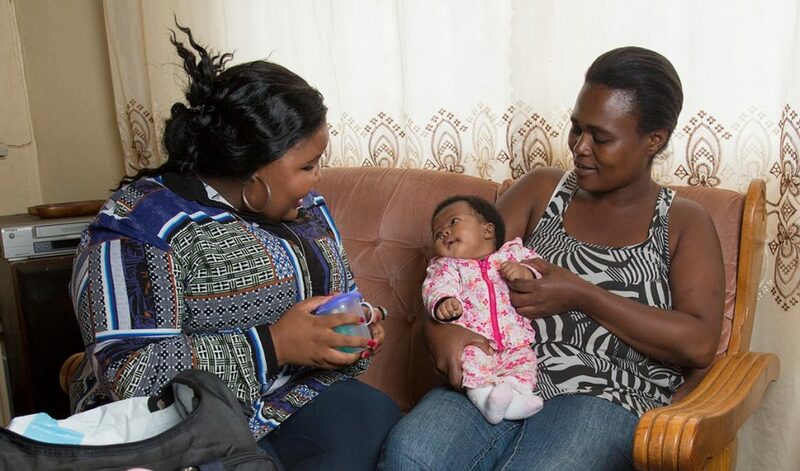 At the age of 14, both of her parents died of HIV-related illnesses, forcing her to become the head of her household and take care of her two younger siblings. Siya’s journey, from those seemingly insurmountable odds to stability and eventual success, took a decade, required many interventions, and cost nearly $65,000 in education and health programs. We are fueled by a philosophy that our children deserve what children all around the world deserve–everything every day. Is Siya not worth it? When Siya needed a dress to participate in her university graduation, she knew she didn’t have the luxury of wanting anything that wasn’t ‘essential.’ “This isn’t a priority,” she said. “When you don’t have money, you don’t do these things.” But Siya deserved what all children deserve—everything. Her graduation day was one of the biggest milestones in her life, a moment that had been years in the making and had happened against all odds. We made sure she had what she needed—in this case, a dress for graduation. Contrary to what many funders who measure success by scale and cost-effectiveness might think, this wasn’t wasted money. Can we diminish the impact of a pink graduation dress on a girl who thought she might not even live to finish high school? For most of us (whose lives are set up so that it is harder to fail than to succeed), the years of resilience, hard work, and strength that it took for Siya to get to that point are impossible to imagine. We have to start investing in disadvantaged communities in the same way that we would invest in our own families. This means committing for the long haul and recognizing the dignity, complexity, and potential of people we desire to help. Real change won’t happen overnight—and for communities that have suffered generations of poverty and oppression, it may not happen in a lifetime. If there is one lesson I’ve learned from my 19-year journey as a nonprofit founder, it is that nothing is more transformative than investing in a child every day of her life. It’s what my parents did for me, it’s what I do for my own kids, and it’s what we at Ubuntu will continue to do for children like Siya. All images courtesy of Tim Hans Photography. Great blog Jacob, I agree with everything that you are saying. My wife and I have a ministry Blessman International that has been serving the children in Limpopo for the last 13 years. I pray that one day we can come to PE to visit your site and that you might also make up to our area. We are located just 1 hour south of Polokwane or 3 hours north of Johannesburg. I read an interesting book on philanthropy last year by Jimmy LaRose. It has some good ideas from me on raising funds for our NGO and NPO in South Africa.